Microsoft just changed it's policies on it's XBox 360 console. And, huge portion of it's team is after banning XBox Live accounts all over the US and other countries. 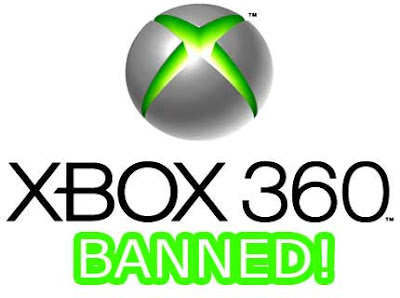 This is a huge blow to all the consumers who mistakenly bought the used and banned XBox 360. * Console tampering: Physically opening the Xbox and modifying it to play illegitimate software. * Online fraud: Attempting to social engineer users, take over Xbox LIVE accounts, or other fraudulent activities. * Repeat egregious violations: Multiple actions taken on accounts on the console by the Enforcement team for disrupting the service or impacting users. Obviously, not a chance for MODDED-XBox any more but if you care about the second line, then you cannot even transfer the account reserved for you to somebody else. If it's enforced strictly, you cannot sell your XBox 360 to other or he/she won't be able to access it's all features. Read the whole policy thing at their Official site.